The ESL Pro League Season 9 Qualifiers are the biggest upcoming events alongside the BLAST Pro Series Miami. There are going to be two LAN Qualifiers – European and American, as well as two Online Qualifiers – Asian and Oceanian. They will gather the best CS:GO teams in the world. 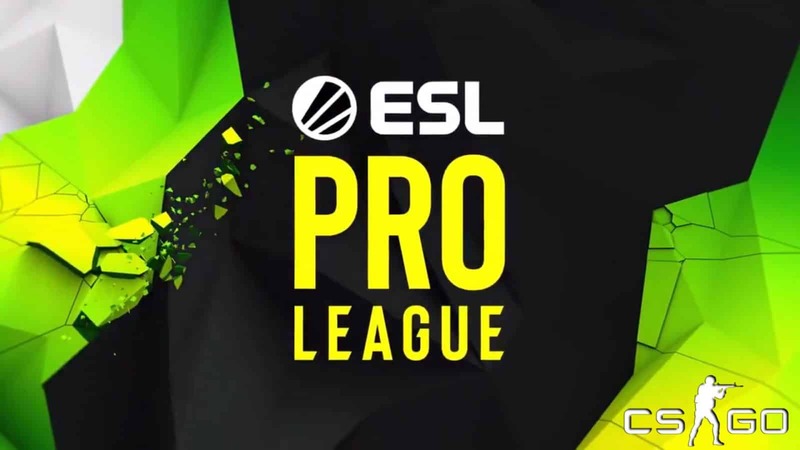 The ESL Pro League Season 9 Qualifiers will take a place in Leicester, England and United States. Both Qualifiers will kick off on the 12th of April and end on the 5th of May. European teams are going to play in ESL Studios venue, while American teams will play in different venues. 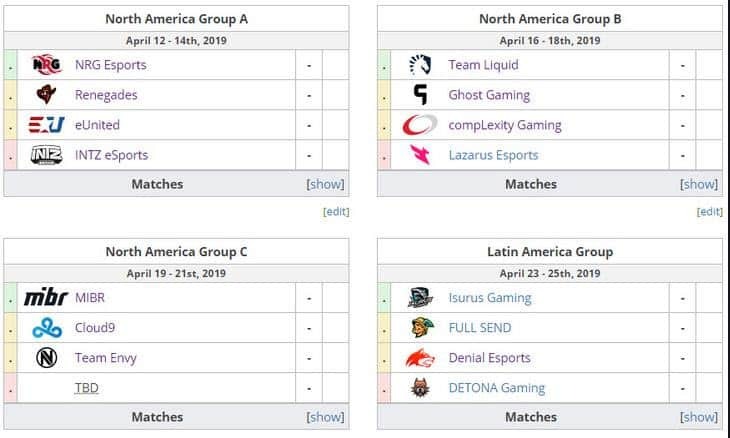 As you can see, unlike ECS Qualifiers, ESL Pro League Season 9 Qualifiers are LAN events. When it comes to casters at Europe Qualifier, they are going to be Machine, SPUNJ, JustHarry, and Hugo Byron. On the other side of the world, stunna, moses, emode, and Topical will commentate on games in the American Qualifiers. More: What Makes s1mple the Best CS:GO Player in the World? As well, there are going to be Twitch streams in many different languages such as English, French, German, Russian, Spanish and so on. You can watch the English stream on Pro League Twitch channel. Both Qualifiers have four groups featuring four teams. The Round Robin system will be used, so everyone will meet each other. Organizers determined seeders according to ESL CS:GO rankings. All matches in the Group Stage are Best of 3. When Group Stage comes to conclusion, teams who top a group will proceed further to ESL Pro League Season 9 Final. Teams who finish the Group Stage at the bottom of the table are dropping out of the event. All remaining teams have to play another Group Stage which uses the same format and rules. 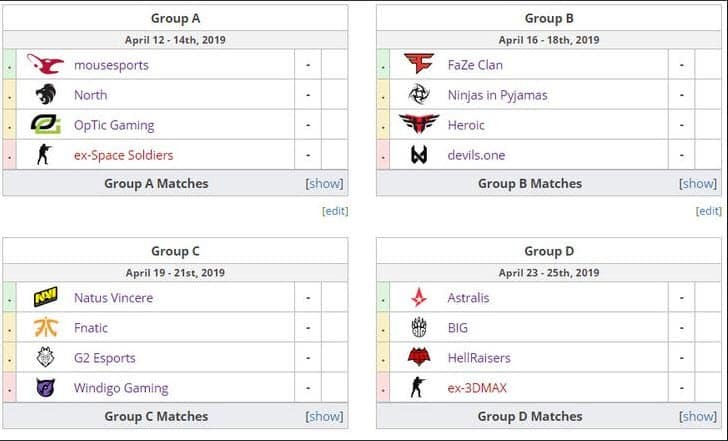 Hence, after the first Group Stage ends, there are going to be another two Groups. At the American Qualifiers, only the Group winners are going to secure the spot at the main event in Montpellier. On the other side, at European Qualifier, second-placed teams will also advance further. In the end, these 14 teams are going to be joined by one team from Asia and one team from Oceania. When it comes to European Qualifier, it seems like Group A and Group C are the most interesting groups. Group A features mousesports, North, OpTic Gaming and ex-Space Soldiers. All these teams haven’t been performing at the highest level recently. After finishing the last season in a good manner, mousesports didn’t play so much at the beginning of this year. They failed to qualify for the Major, which was a big upset. Furthermore, they failed to reach the final of ECS Series 2 as well. This hasn’t been a successful year for them so far. Therefore, this is a good chance for a diverse European team to change things around. Everything said applies to North and OpTic Gaming as well. They both failed to get to Katowice this year. Also, they didn’t have so great results excluding North winning ECS Series 2 and GG.Bet Minor event. There is the Turkish team, ex-Space Soldiers, made from former Space Soldiers players. They will have a big motive to play at the highest possible level in order to get back on the big stage. This group is perhaps the closest one in terms of quality of teams. Group C is also going to be interesting as we are going to watch some rematches from the recent period. Fnatic will have an opportunity to get revenge against G2 and NaVi, and G2 will try to get revenge against Windigo Gaming. All in all, there are going to be some very interesting matches to watch. The American Qualifier is probably going to be less interesting than the European Qualifier in general. However, we will surely have a chance to watch some interesting matches. Group A and Group C are most interesting groups at American Qualifier as well. Group A features NRG Esports, Renegades, eUnited and INTZ eSports. NRG and Renegades are the main contenders for the first place. Both teams are in good shape as they both reached Semi-final of last StarSeries event. Other two teams have been struggling at Qualifiers recently, so this is their chance to improve overall impression. Also, eUnited’s new roster can make a decent result at this event. In Group C are MiBR, Cloud9, Team EnVy, and one unknown team. After reaching Semi-final of the first Major, MiBR failed at few tournaments including BLAST Pro event in front of the Brazilian crowd. Unfortunately for the Brazilians, they didn’t play any better at StarSeries & i-League either. On the contrary, they failed to reach Play-offs. This can be a crucial event for them if they want to start winning big games. But, it’s not going to be an easy job for MiBR as their biggest rival in the group is Cloud9 with a new roster. If any of these teams don’t secure a spot in Montpellier, it will be hard for them to do so in the second Group Stage.